It's a BNR32 base modified by Apexi called the A450, 450 for the amount of horsepower it has. Exterior wise every panel except the roof and doors have been modified. The most drastic changes coming from the front and rear. The font looks to have styling cues from a Honda Integra and the rear has just borrowed the lights off a Honda Legend. As well as the exterior receiving changes the rest of the car was heavily modified. 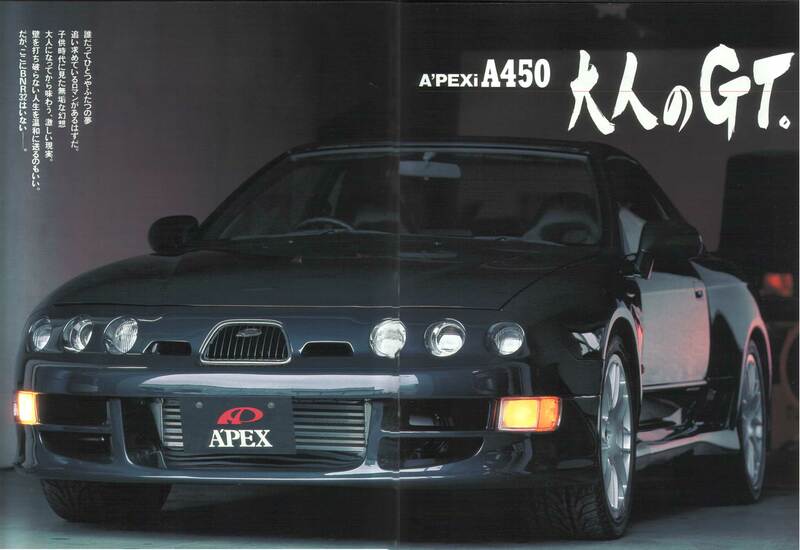 Looks like it was made to compete with the HKS Zero-R which came out in 1994. Saw this over on http://dsd32.wordpress.com/ and thought it was worth a post due to its complete strangeness!